To my considerable frustration, it seems that having recently achieved the novelty of landing a "proper" academic job seems to translate to spending most of my life travelling. This would have been a great thrill for the twenty-something, carefree version of myself, but poses difficulties for a thirty-something father. On the bright side, my children are becoming used to receiving chocolate-based gifts from the around the world. Today's session took place after a recent trip to Brussels, after returning from which I was greeted by a grinning eldest son running to the door to (i) apply the aggressive cuddles that only a three-year-old can manage, and (ii) determine the nature of the treats that I had inevitably brought him. And yet what treats does his father have, hmm? 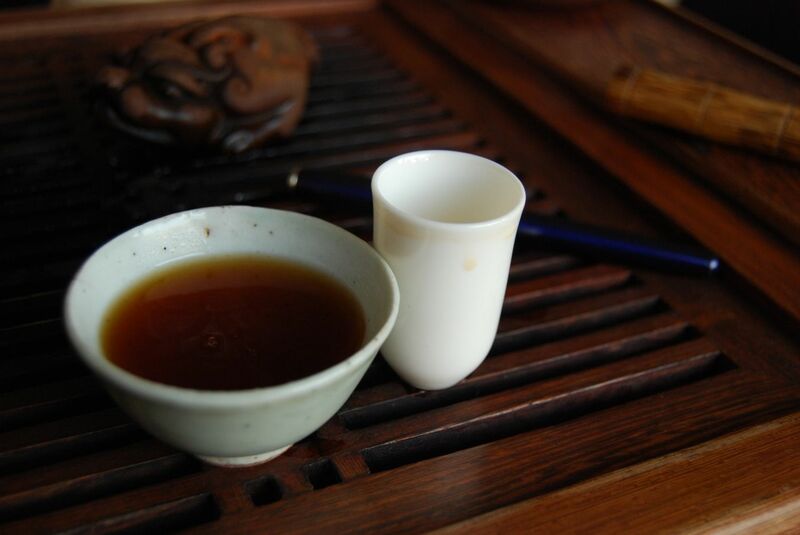 Well, this old 1990 tuocha, provided from the magnanimous charity of Peter of pu-erh.sk, certainly counts. The eponymous little chunkynuggets of tea that make up this session have a "chenxiang" [aged scent], when introduced to the damp, warm belly of the tiny pot (pictured below) that I use for brewing some old cakes. Even the first infusion, with the leaves still tightly compressed, has a tar-like, sweet scent and a substantially cooling sensation. I am not a big collector of pots; in fact, I like to "simplify, simplify" whenever possible. When I first got into tea in the mid-noughties, perhaps like most people I went a bit crazy and bought pots for every occasion one could conceive. Roasted, green, old, young, frisky, rough, etc. etc. 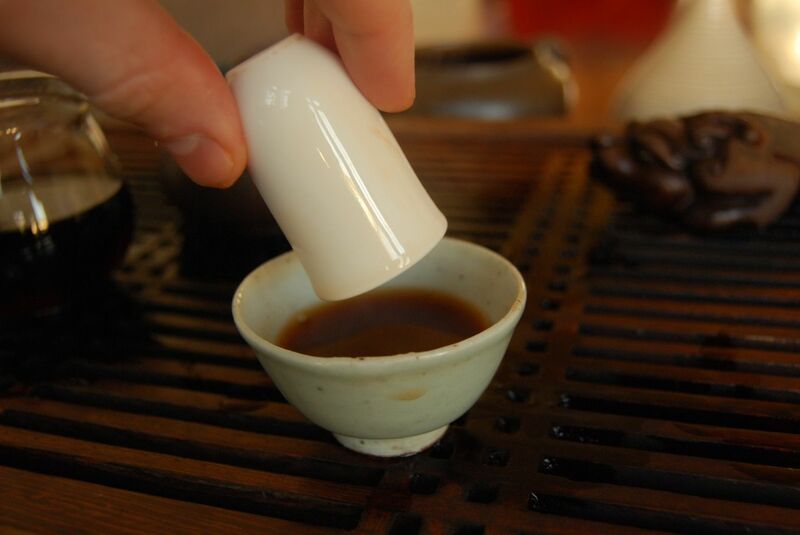 These days, I drink almost exclusively from Zidu (my big ol' Zishahu that brews around 110 ml), with a tiny 70ml pot for those small samples as may exist of older teas. 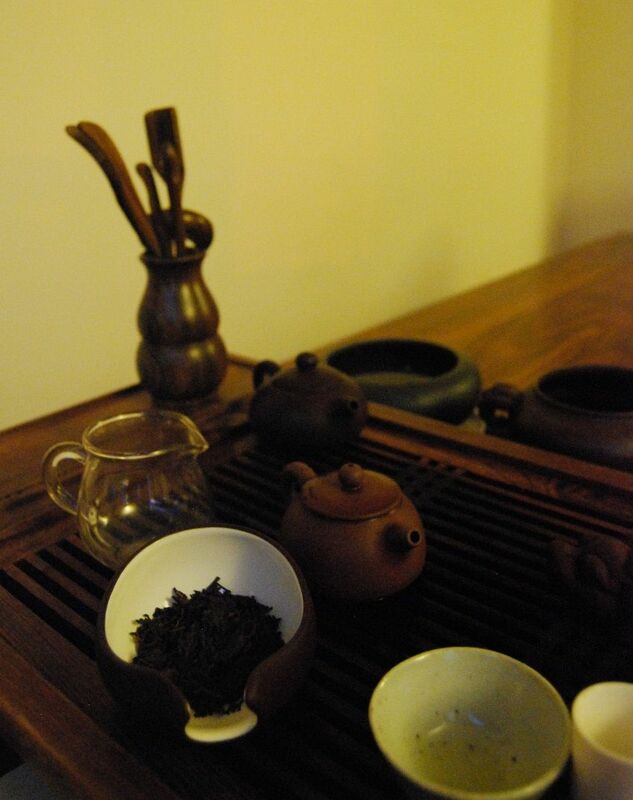 I have a pot for green wulong and a pot for heavy-roast wulong, but those are more for fun rather than function. Finally, I have a shupu pot and a hongcha pot. 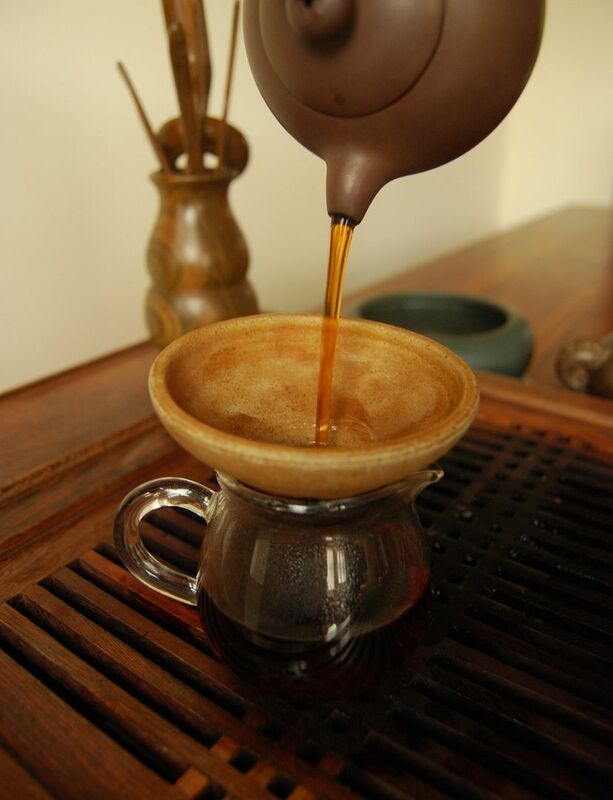 Everything else (and there is virtually nothing else, excepting lucha) goes into a gaiwan. This lovely little tuocha is crisp, smooth, and particularly sweet - it is perfect for my return to a dark, northern country which is entirely saturated with rain and winter chills. It is hard to imagine that such a country exists after spending time away, even in Belgium, but exist it does. The strange thing is that I actually come to miss the dark, wet little country when I am away/. There truly is "no place like home". What does one look for in an old tuocha? 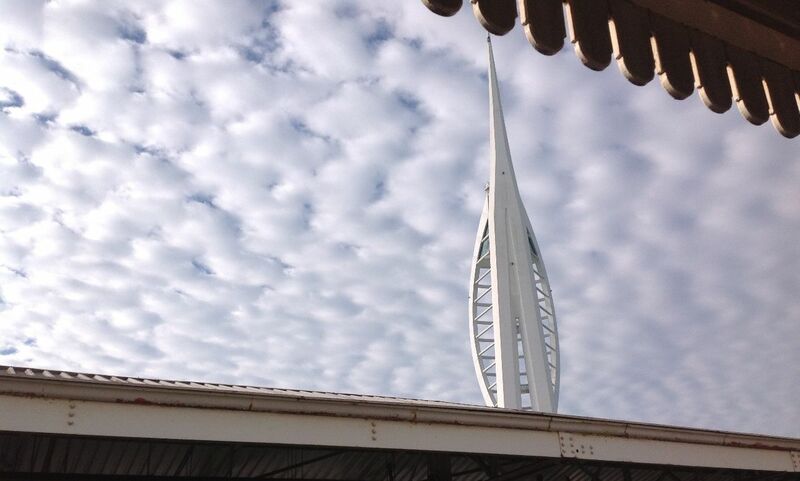 Sharpness? Pleasant sweetness? Endurance, and strength? This 1990 version has all of these virtues. Even after some twenty or so years of aging, this tea caused my dear wife to observe "an aggressive aftertaste" - which is quite a compliment for an older tea! The red-orange soup, which looks so invitingly thick in the photographs above, has a tangy, long-lasting scent that reminds of the benefits brought about by tight compression: though aged, it has the retention of some of the characteristics of youth that blend very well - it is a fascinating mixture of aspects that we might otherwise associate with both age and youth. I deliberately brew it strongly to emphasise its considerable strength. What a wonderful way to return home. Thanks again to Peter for the session. I like to pronounce "Laoman'e", which should be pronounced "LAO MAN-ERH", to rhyme with "chowmein". There's nothing quite so pleasingly discordant to the ears as when we Anglicise something inappropriately. It's one of my favourite games, and, it seems, the favourite of many Americans: I give you the US pronounciation "NOTER-DAYME" for Notre Dame, which is enough to make every Frenchman's ears erupt in flames. Inexplicably, despite a healthy intolerance for the French language, Americans pronounce "herbs" in the French manner, without an initial "h". Is that just to upset the French? So, what do we know about "Lao-Mayne"? 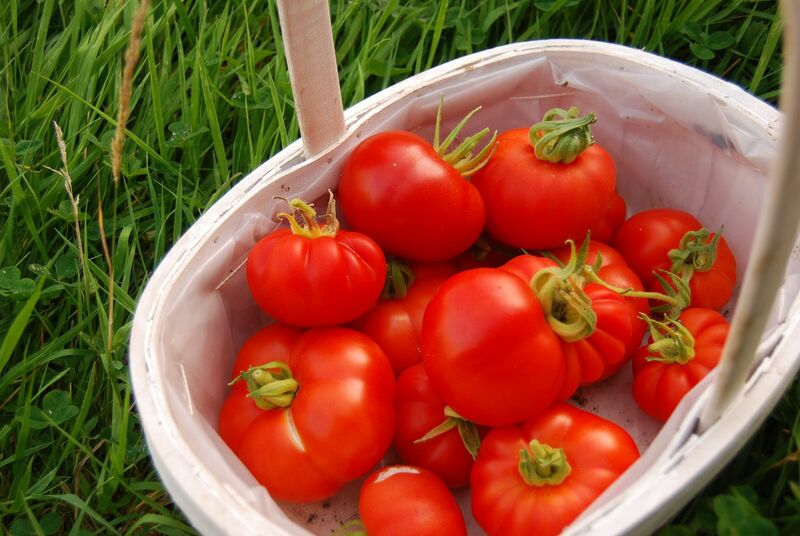 This particular example is both fruity and fresh, with leaves that look very health indeed (as pictured above). The colour of the soup is properly yellow, which is a good colour for a European three-year-old cake. 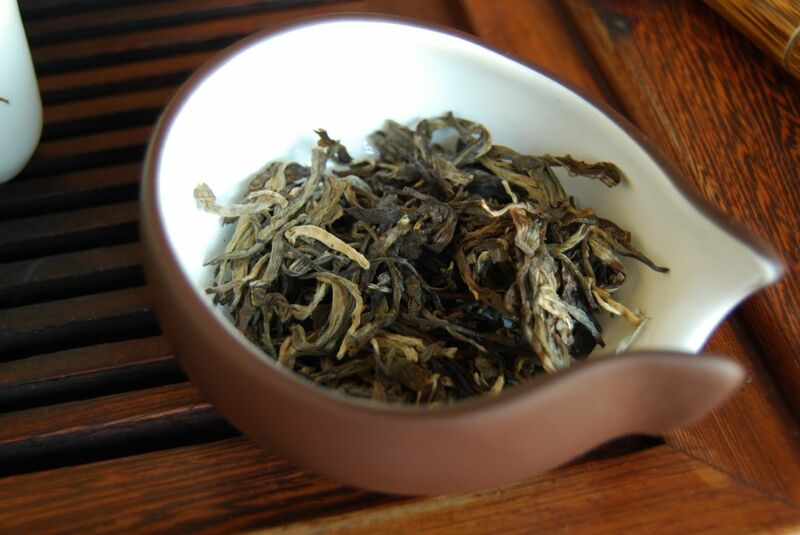 The first infusion, though cloudy, is most pleasant: it is sharp and bitter, in the usual way for "Lao-Mayne", but has the charming, fruity complexity of the greater Banzhangshan region. This one is clean and well-made. The buttery scent is common to many young pu'ercha cakes; the bitterness is that of grapefruit - again, something that I have come to expect from "Lao-Mayne". This works more better than you might expect. 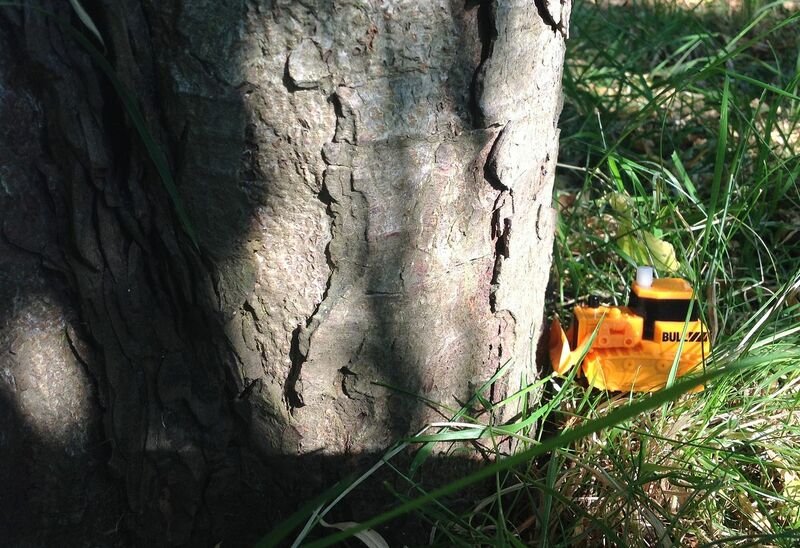 Its solid texture and long throatiness are compliments to its tangy sharpness. 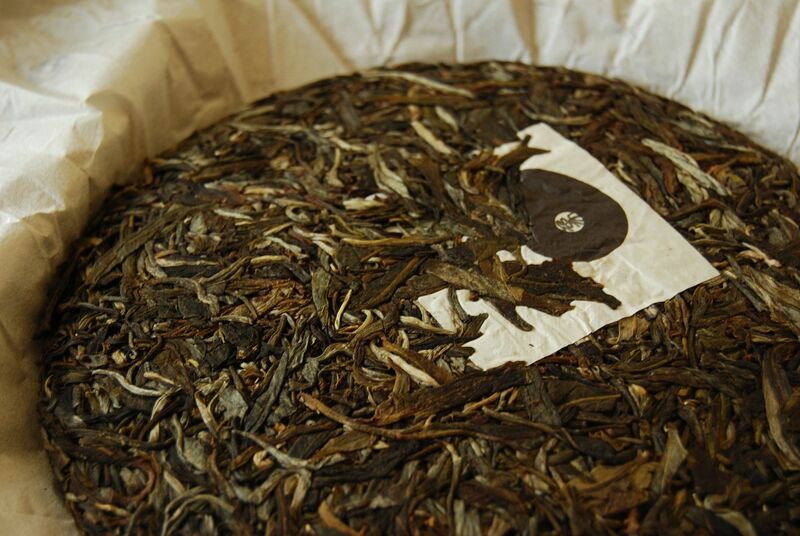 It is, without doubt, an "acquired taste" and perhaps not one to try out on non-teafolk. Thanks again to Peter for the sample, which was thoroughly enjoyed. His cakes are coming along very nicely, and I always look forward to seeing what else will be coming out of his stable. Badabing and I, as you may know if you are a regular sufferer of this web-site, have a long and most amiable relationship. Peter of Pu-erh.sk has been so kind as to press my Badabing-related buttons at regular intervals: it began with a 2011 Badabing that was delicious, but which was sold out; it went on to a 2012 Badabing that was entirely yumptious, and which I tonged. I was terrifyingly enthusiastic about the latter. There was then a 2012 autumnal Badabing, which was fine indeed. Then, there was an excellent (but perhaps quite pricey) 2013 Badabing. Where could we possibly go from here, given that the 2014s are not yet picked? Of course, back in time to 2010! 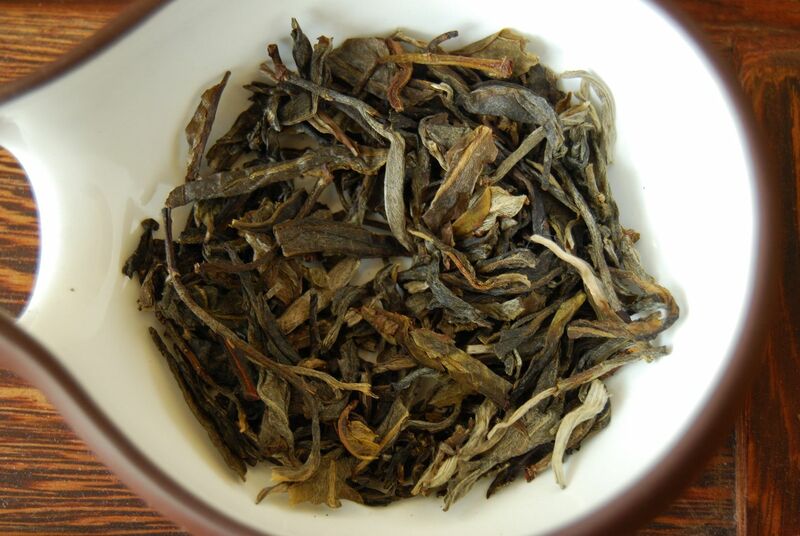 The scent of fresh, grapelike sweetness, from young shengpu, is not one that I have enjoyed lately. 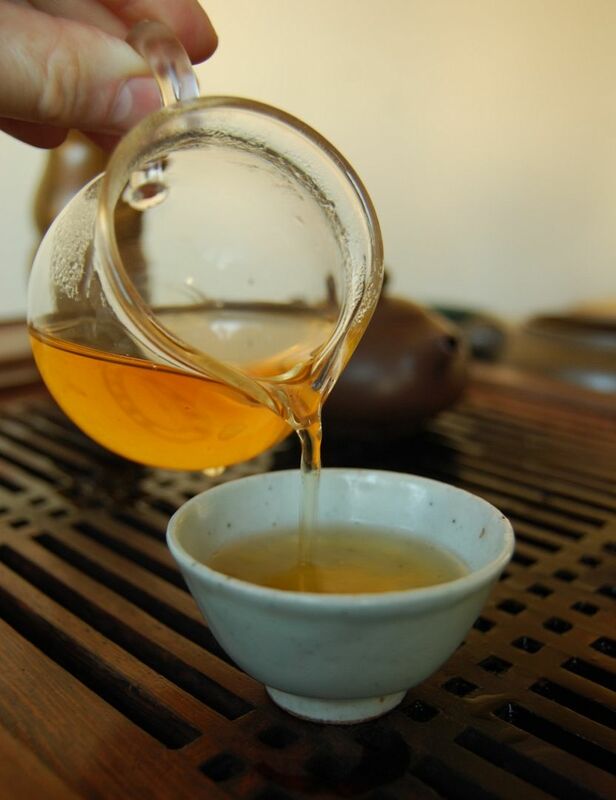 Tellingly of my circumstances, the session opens with the obvious scent of burning dust - this is because I have not had a proper tea session for some time, and so the hot-plate and tetsubin that I use at home have become a little dusty, which gets burned away as the everything warms up. I am amused to see that the above photograph looks uncomfortable in both "landscape" and "portrait" orientations, such was the strange angle at which I took it. What you can see, despite the bizarre shooting aspect, is a long-leaf Badashan that has some age to it, from the darkness of those leaves. Even the rinse smells fantastic. 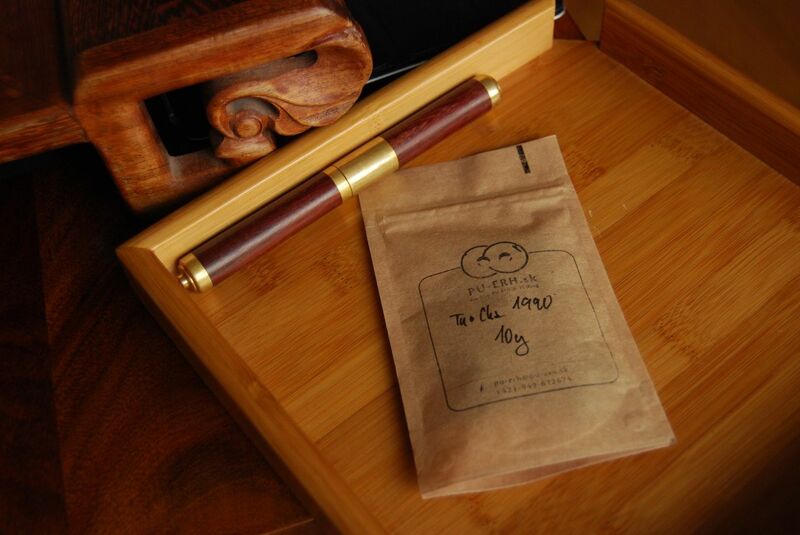 As the first wash of the tea drips through the slats of the tea-table, the scent of rich, sticky-sweet pu'ercha fills the room - and all is well with the world. Unusually for a tea from this region, this has a visibly brown hue that I usually associate with Simao and Lincang cakes. The character, however, is entirely familiar, and excellent: it is fresh, bitter, cooling, and has a rich, strong base that is entirely commendable. The kuwei [good bitterness] is strong in the throat; the overall effect is a deeply satisfying darkness, with a slightly straw-like sweetness (in a good way). "Just two cups and I am happy", I wrote in my journal. I pause the session for two hours to help my dear wife write a covering letter in her application for a new position in the university; my delay in writing up my notes is that now, looking back, I know that the application was ultimately successful. Perhaps we have the remarkable clarifying strength of this 2010 Badabing to thank. In all my days drinking pu'ercha, I have never, ever finished a cake. Not one. This is deliberate: I cannot bear to be out of a particular cake. The notion of "running out" terrifies me. This may explain some of my tea-purchasing habits, in which I buy enough such that if I drink some then it makes no difference to the overall quantity. It is a form of psychosis, I am entirely certain. For me to finish a cake, then, is something of significance. 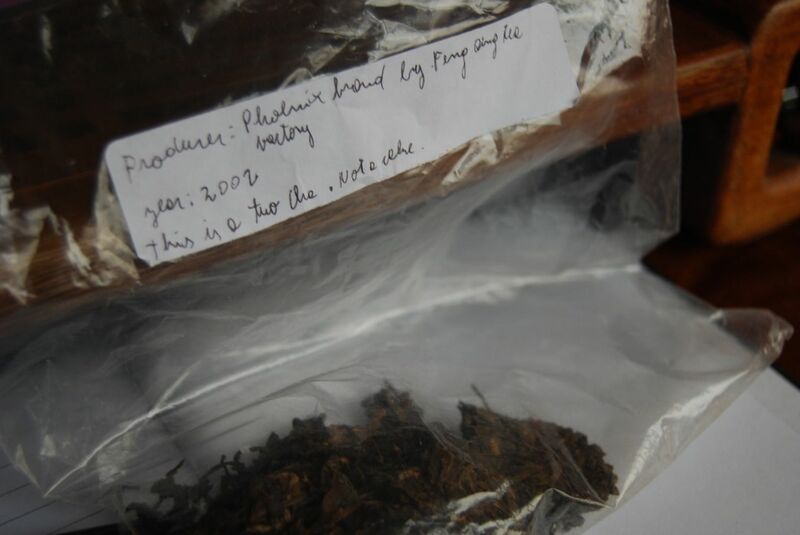 The happy event came recently, in my lab, when I had the final portion of the entirely delicious, and extraordinarily inexpensive, 2006 Tiandiren "Bulang". I bought this for $11 (eleven US dollars) from white2tea. I feel... strangely different, after finishing a cake. It is as if an important mental obstacle has finally been overcome. It is a feeling with which I am absolutely unfamiliar... but I like it. Now, what do I do with the wrapper? For an island that has actual tea plantations, the tea available for actual consumption in Borneo is baffling: the locals drink it extremely dilute, usually from low-quality teabags. Some of them are even "Lipton", which is a dreadful company the insipid products of which I first encountered in the USA. It's like going to Beaujolais and drinking Blue Nun. It makes no sense. 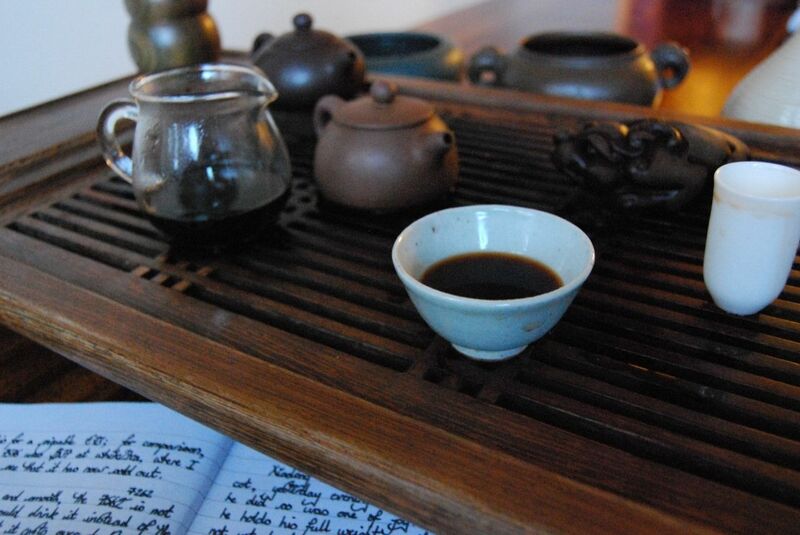 I console myself with my notes from a session with a charming tea (a Fengqing tuocha from 2002), kindly provided by ME of South America, that I had shortly before my departure from England. 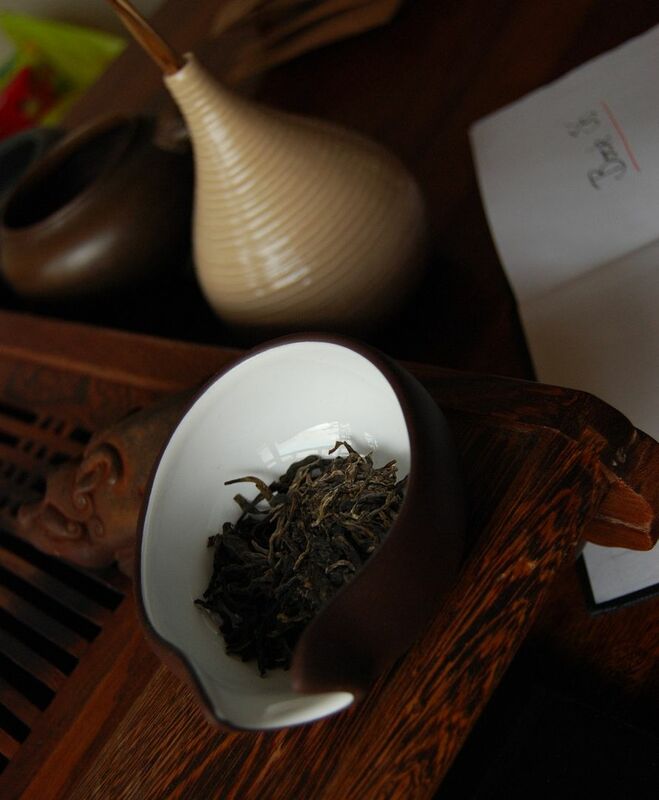 Fengqing is an old school tea company of the first order. 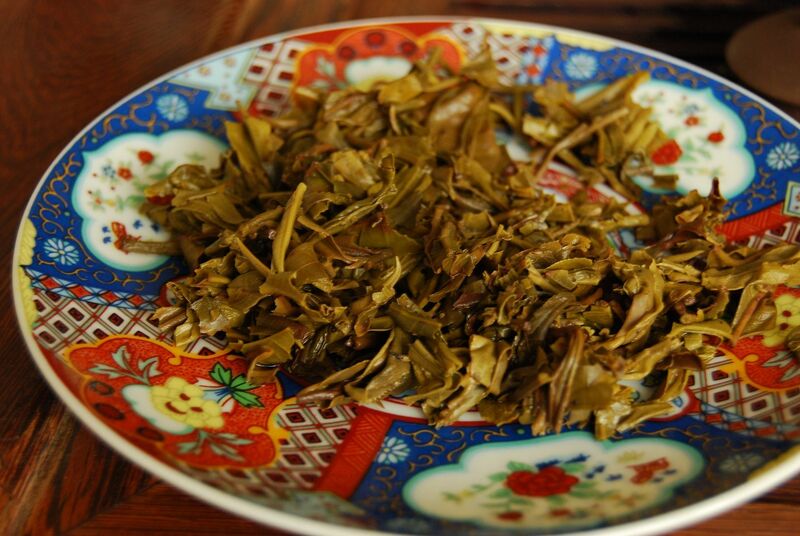 They have been going approximately since the beginning of time, and seem quite happy to soldier on, churning out uncompromising tuocha while the fads of modern Chinese tea production pass them by. There is a warm place in my heart for grumpy old Fengqing. 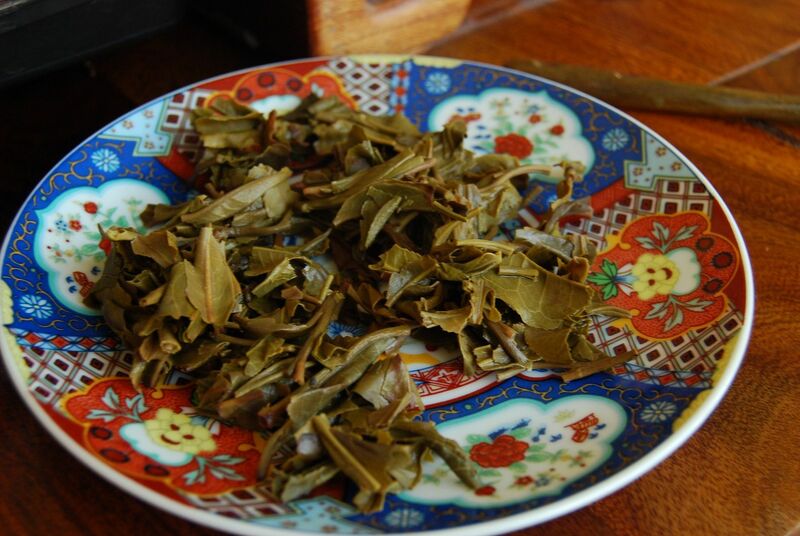 As with all tuocha, we should not expect large-leaf gratification. ME has kindly provided a big pile o' leaves that I assume he has personally liberated from the iron-like grip of the compacted bird's nest. The scent of the dry leaves is an appealing sweetness, with a tinge of light humidity. 12 years is quite a long time. In that time, the presumedly yellow soup as was has turned into the heavy orange that we can see in the above photograph. 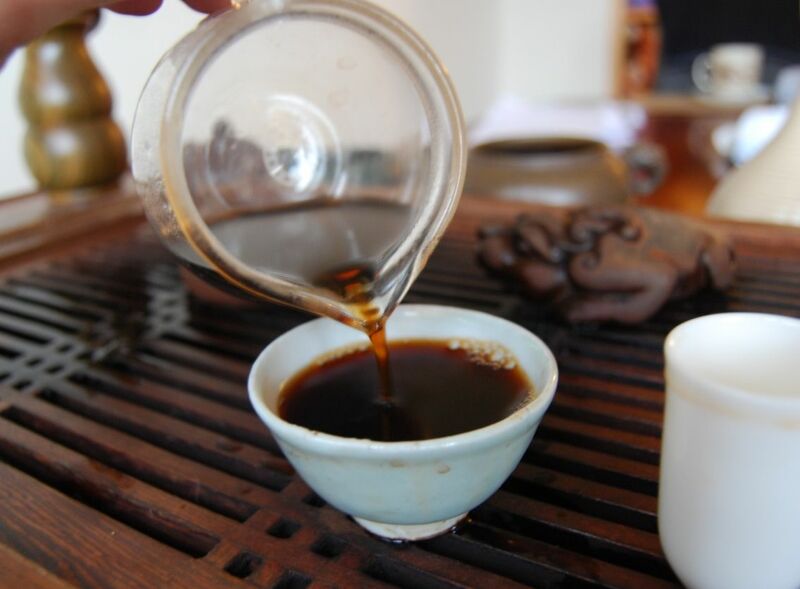 There is a dense, smoky sweetness about the soup that is typical for basic, strong tuocha of the kind in which Fengqing excels. This is soft around the edges, probably due to its age, and possesses a solid core of sweetness and kuwei [good bitterness]. I add a dash of extra water from the kettle to dilute its sharpness - this is an unusual step but handy if the tea is accidently overbrewed. I always get very optimistic / foolhardy with tuocha leaves, and fail to take into account the compression, resulting in the use of far too many leaves. The result, after dilution by around half of its volume again, is absolutely delicious. 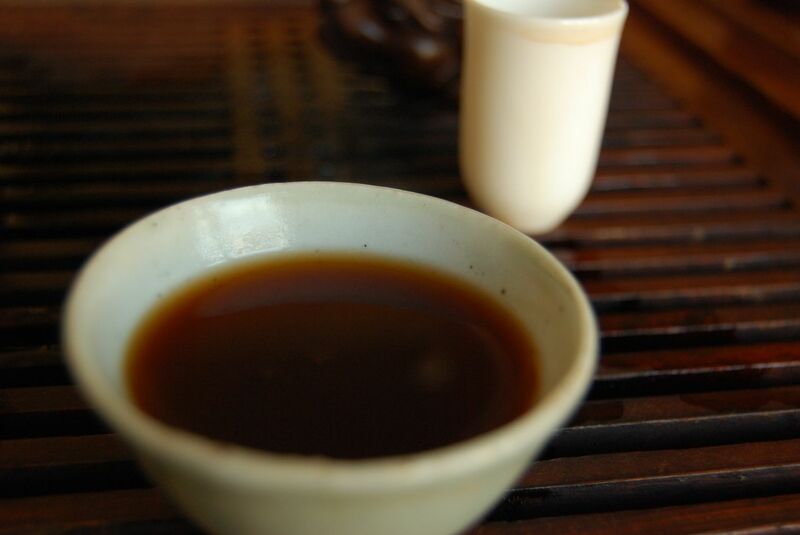 It has the sweet strength of decent tuocha, and cools the mouth with a comprehensive, "all over" coolness. Its age may also be seen in the manner in which it retains the colour in the centre of the cup, but which thins to a translucent meniscus, as it moves up the wall of the cup. It is not complex, but it is plentifully strong, quite charming, and lasts for over a dozen infusions without showing the slightest sign of roughness. 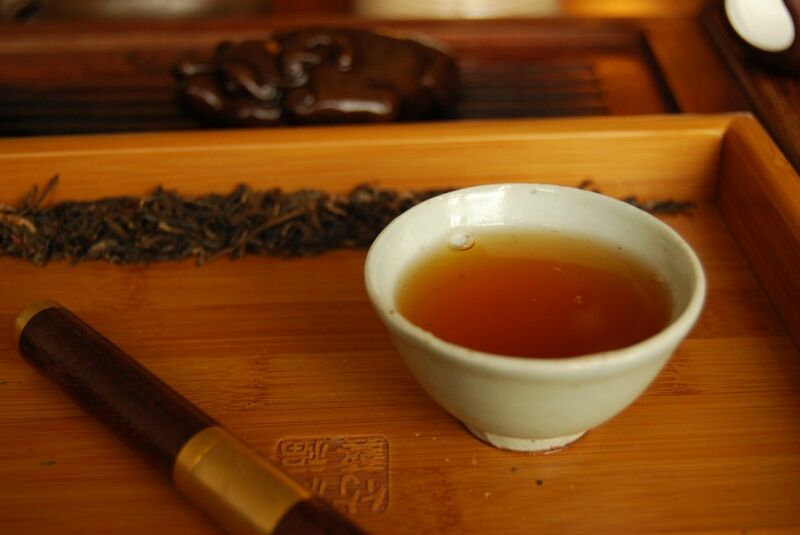 Fengqing tuocha: always safe, and excellent when aged a little. Thanks again to ME for the session. Ambassador, with your 1970 Jinggu, you are really spoiling us. Some sessions are destined to be Good Sessions, and this is one such. When I receive a packet of tea that is quite possibly even older than me (and I really am extraordinarily old), then "that's when you know it's on". Look upon my crumbled fragments, ye mighty, and despair. As pictured above, this tea has been around the block a few times, but how can we expect anything else for such a reverend old fellow? It may be unsurprising to learn that the scent of the dry leaves is that of "old humidity", as I seem to have written in my journal. I don't know from whom or where this tea derives, but I do know that even the rinse, pictured above, has an instantaneous colour of Burgundy. So delicious is the look of this tea, that I forget my own rather unpleasant aroma of swimming-pool chlorine, acquired from a morning of playing in the toddlers' pool with my son. How often does one try a tea that can overcome the stench of pool cleaner? This is heavy, and very soft - like a brick wrapped in velvet. There is rounded sweetness aplenty, and hints of the long vanilla that humidity can impart from long exposure. This isn't "wet", in the extreme sense, just pleasantly, deeply humid. The duration with which is casually resides in the throat, in no hurry to depart, is notable. 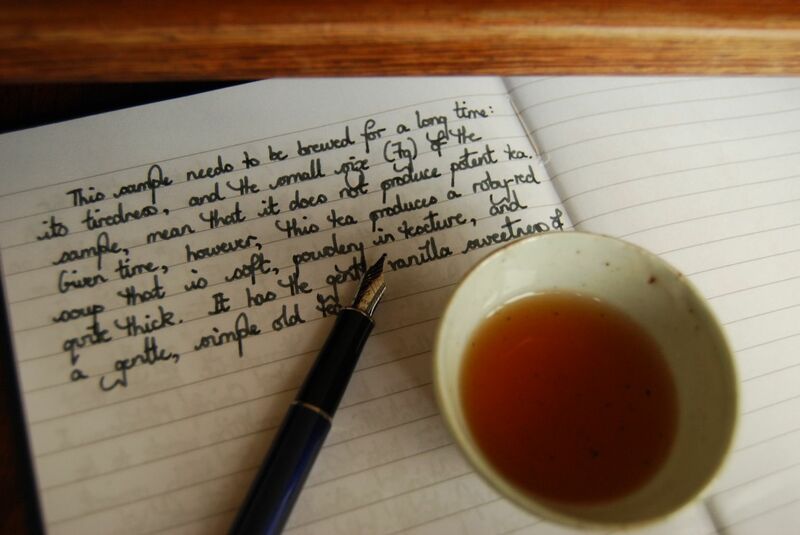 Perhaps even, after all of the time and humidity that this tea has experienced, there is even the edge of kuwei [good bitterness] remaining. This is one of those pu'ercha that is so dense and sticky that it leaves red stains over the cups, even from the smallest quantity of tea. "It deserves attention", I concluded. 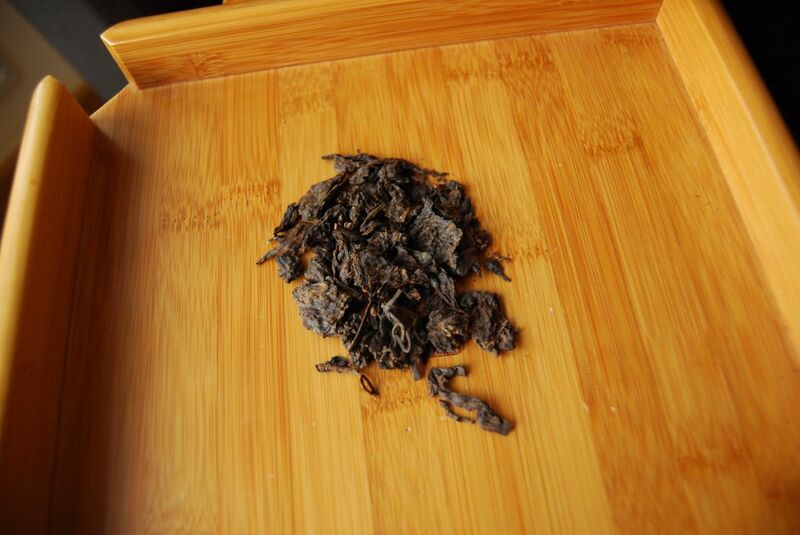 With special thanks to Peter of Pu-erh.sk for his considerable generosity in providing this comforting session, I would love to know more about this "unknown soldier". Well, the "warmth at dawn" certainly isn't coming from the sun. This session took place before the sunrise, in the grip of the cold English winter. It rained for many days, reducing our already-dark little Northerly country into the kind of blackness that you might imagine on a moon of Neptune. 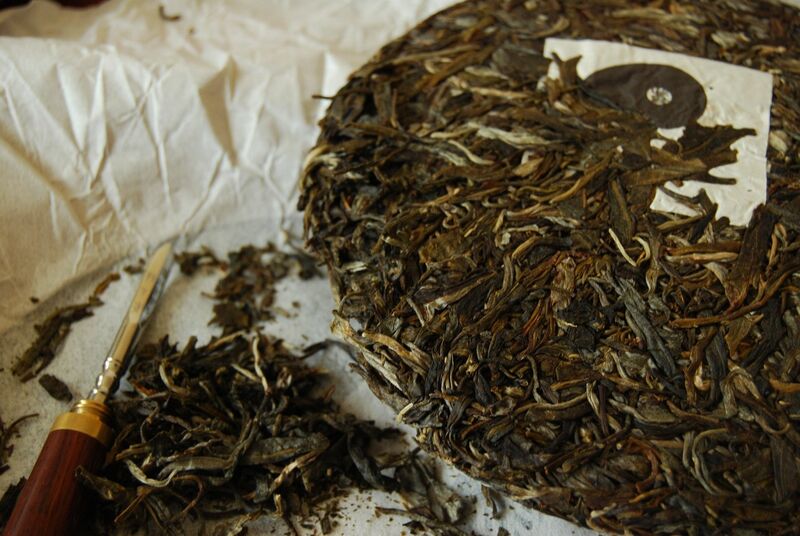 The warmth came, instead, from a rather decent shupu that came from Peter of Pu-erh.sk. Menghai, for it is they, produced this dense little chap: it is the "7262" cake. You may or may not be able to squint your eyes sufficiently to determine that the leaves in the above photograph are dark, separated, and rather well-treated (for shupu). Good shupu should be soft, in my opinion. I like a good, rounded edge and I prefer some backbone. It turns out that this cake, from the people who invented shupu, is really rather delicate - which is quite a surprise. It is so delicate, in fact, that I could easily imagine Essence of Tea selling it. Peter sells this cake for a sizeable 73 Eurounits, which is quite Big Money for a shupu cake. 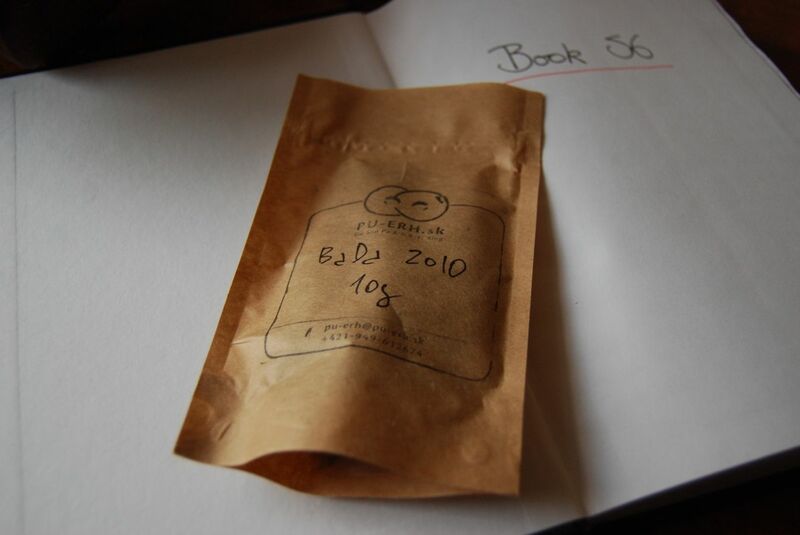 For comparison, my eternal nubile and delicious 2003 Fuhai 7576 was 37 Americanbux. You've got to be careful with the pricing of shupu. That is not to say that this Menghai 7262 is in any way bad - it is made by the greatest single collection of shupumongers in the world, after all - but it does not, in my opinion, compare in price to more affordable shupu cakes. 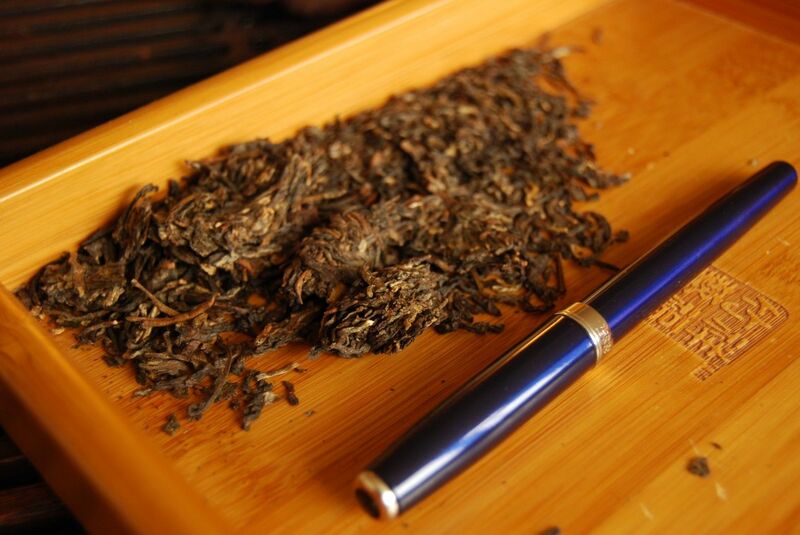 Later, the Menghai 7262 continues to impress, with its stability and tangy, mild kuwei [good bitterness] in the finish. Menghai can make shupu without killing it, which is half the battle. 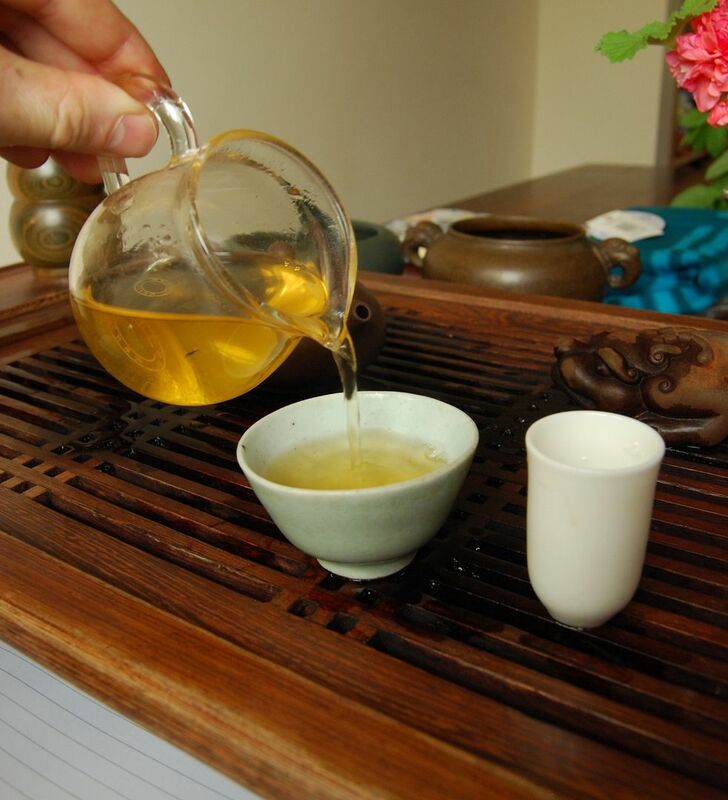 A cooling sensation fills the throat and nose, which is also rather unusual for "cooked" tea. Its flavour is not forthcoming, but its texture, cleanliness, and cooling quality make up for that. 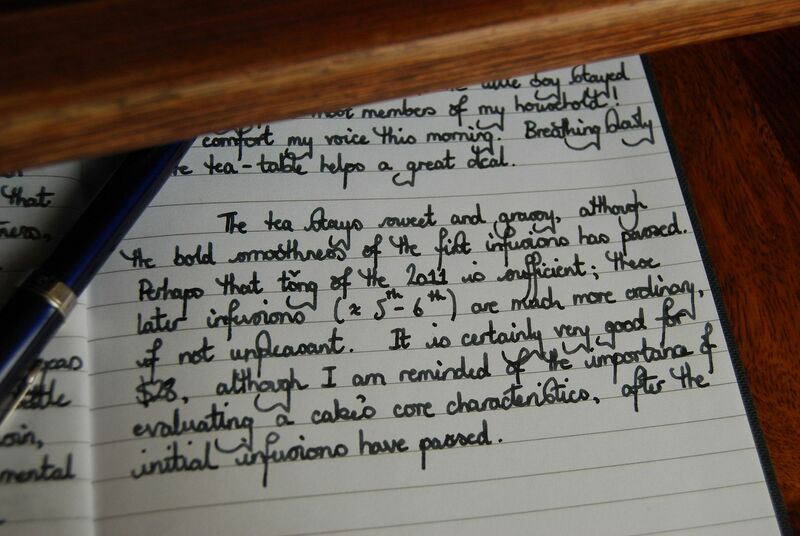 "It is exceedingly drinkable", I have managed to scrawl in my journal. By the tenth infusion, though the dark-red ruby colour and silky thickness are unchanged from earlier infusions, the character has become somewhat "loose" and watery. Menghai knows that its doing - it'd be a snip at a slightly lower price, I think. Wuliangshan is a long range of mountains, one million miles away from everything, up in Simao diqu [prefecture]. It is one of my favourite pu'ercha places, combining tasty "outlier" characteristics with the low prices that accompany regions that are off the beaten track. With prices in Xishuangbanna climbing ever high, especially those in the hot-spots (Laobanzhang, Guafengzhai, etc. 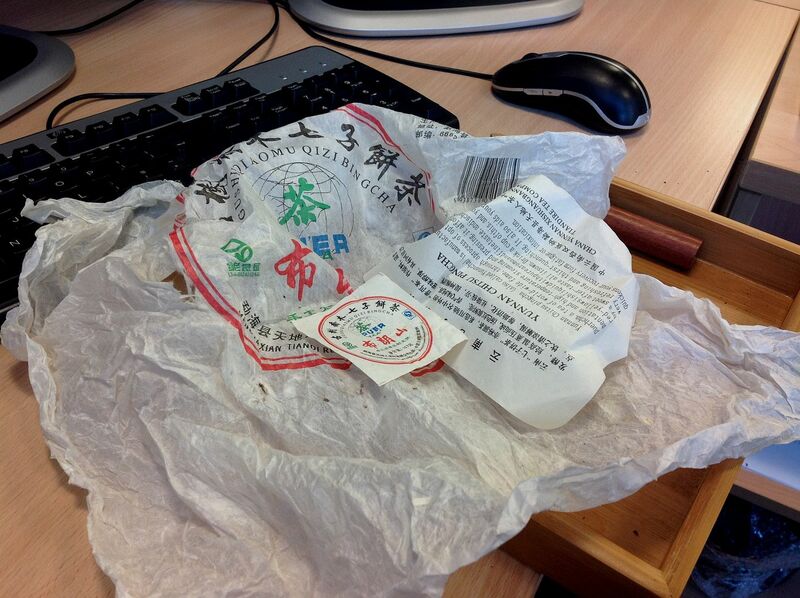 ), I look more and more favourably on tea from Simao and Lincang. 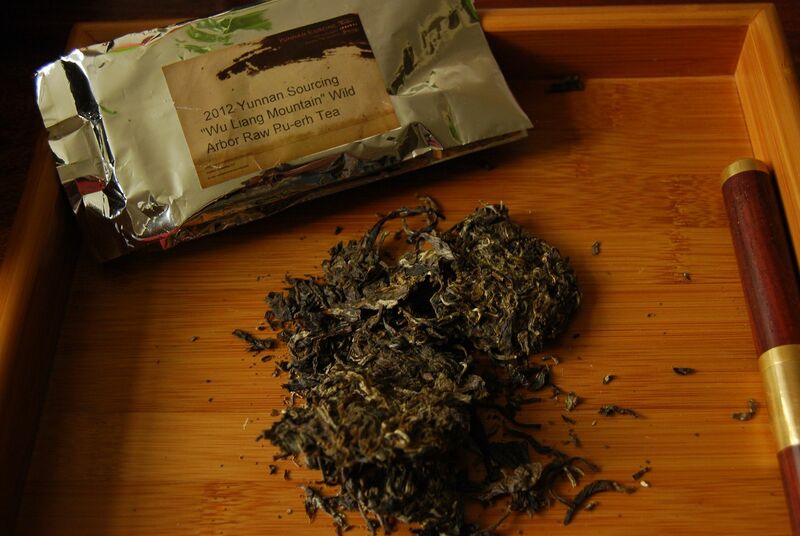 Today's article brings together a trio of teas from this region, kindly provided by Scott of Yunnan Sourcing. Full disclosure: these were freebies. I missed the YS season from 2012 entirely, partly due to the fact that it was an ab-so-lutely crazy year for me, both in terms of family (new baby) and work (new position). This means that I am completely out-of-touch with teas from Scott since 2011, and therefore am extremely excited to be offered the opportunity to regain familiarity. Long-time readers will recall my vocal support of folk who love pu'ercha, and who make good cakes - Scott being one of the longest-serving members of the community. 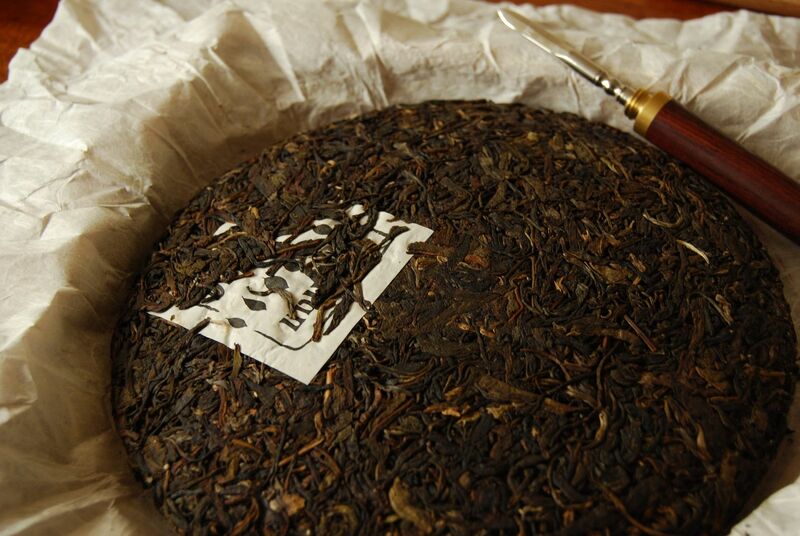 The first cake is, as pictured above, the 2012 "Chenxiang", which means "aged fragrance". It sells for just $27, and comes from Nanjian county of Wuliangshan area - presumably not the region of the same name in Dali prefecture. While not the focus of this article, I include it for my own reference. 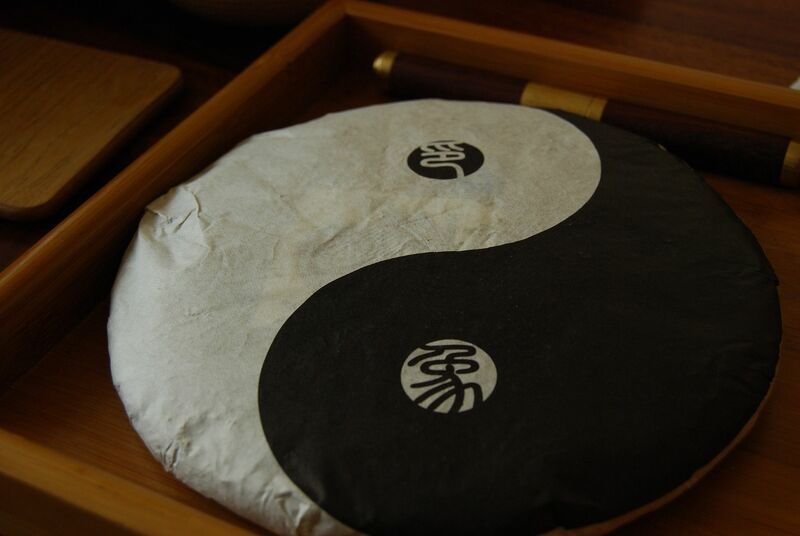 Moving swiftly on, the 2012 "Yinxiang" cake (meaning "Impression") is an entirely unbranded affair, which Scott sells as being a potential for Western distributors to resell. Scott has a number of collaborative ventures and, as his reputation grows, so reselling and collaborations become rightfully more popular - this is a Good Sign, I think. This cake is not entirely Wuliangshan, and also includes some from an unnamed source in Lincang diqu, and some other leaves from elsewhere in Simao. Perhaps as a consequence of the unbranded nature of this blended cake, the price is straight out of the mid-2000s: it sells for just $13.50. If you get 35 sessions out of a cake, let's say for argument's sake, then this works out to $0.39 per session. I cannot think of a commodity in the UK that sells for that much - it's cheaper than an apple. I rather fancy the leaves, pictured above and below, but then I have always been a sucker for a pretty blend. We have small, medium, and large leaves; we have tips and basis leaves; we have the odd stem - it all looks very broad and interesting. I always get too excited about the Dark Arts of blending pu'ercha; it is quite a difficult skill to acquire. The yellow soup is so fresh that it has actual hints of green. This is the kind of pu'ercha that you feel was just picked recently, even though it is over a year old. The scent is of caramelising sugars, perhaps imparted by the wok. 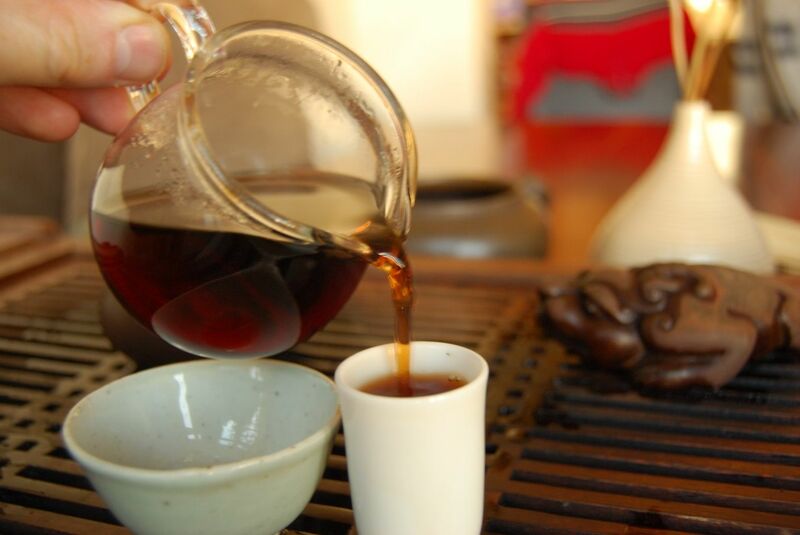 We have the smoothness and sweetness of Lincang with the dry granary base of Wuliangshan. It's reliably "northern" character is completely charming, and it carries a decent kuwei [good bitterness] in the throat that keeps things interesting. It settles down into a sweet, fairly loose-and-watery body, with hints of citric fruits in later infusions. 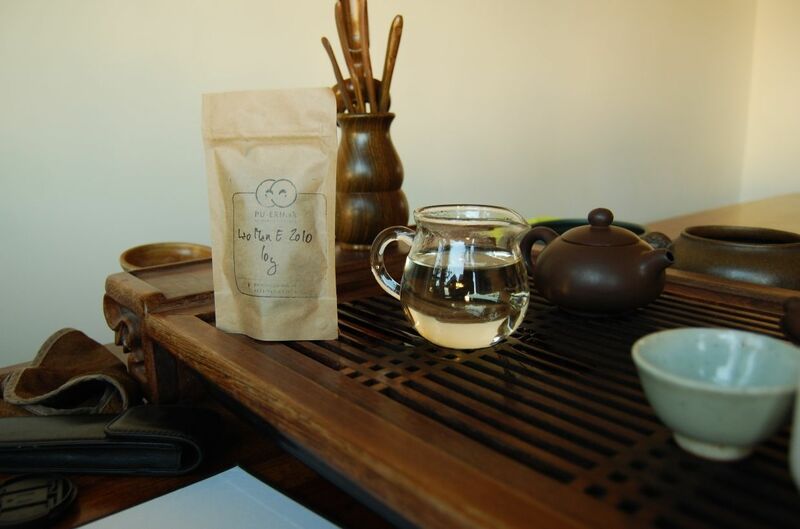 For under $14, you really can't be too picky, and this tea is as enjoyable as any of those earlier-years Dayi blends that you could pick up back in the day for around the same amount or less. The "Yinxiang" is cheap and very cheerful, and does a great job of bringing northern pu'ercha characteristics into a highly affordable package. You never know - this humble little cake might be available from resellers in another guise in coming years. 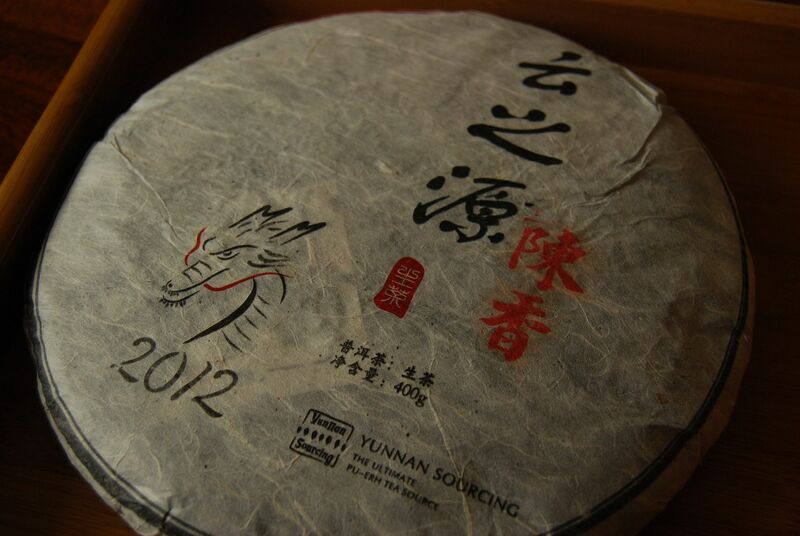 I totally loved the 2011 Wuliangshan from Scott, which is tong'd up nicely on our teashelves at home and aging well. Its qualities far outshone its humble price ($20! ), and its strength has caused the passing two years to change it noticeably while retaining its charm. I have high hopes for it. This 2012 version, then, has a lot to live up to! Yellow, big, and sweet, grainy, and full - it captures the attention and seems like a huge bargain in the first infusion. 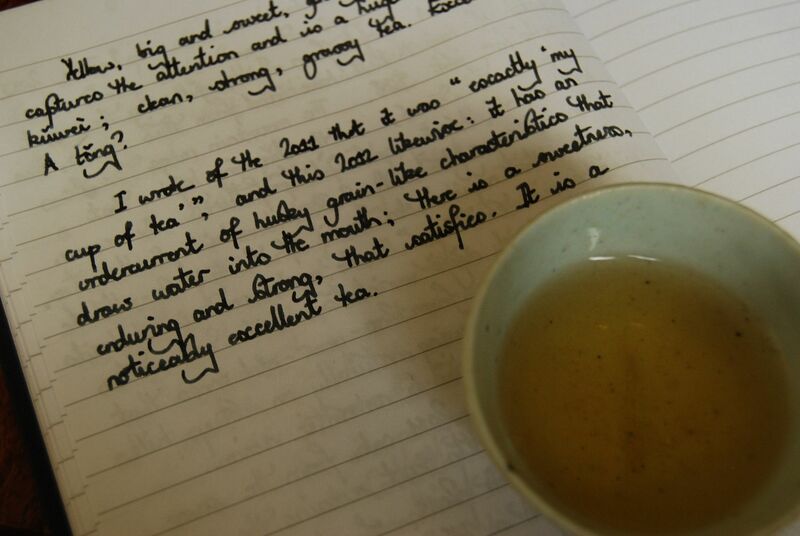 I like its kuwei, and it is clean, strong, grassy tea. "A tong?" 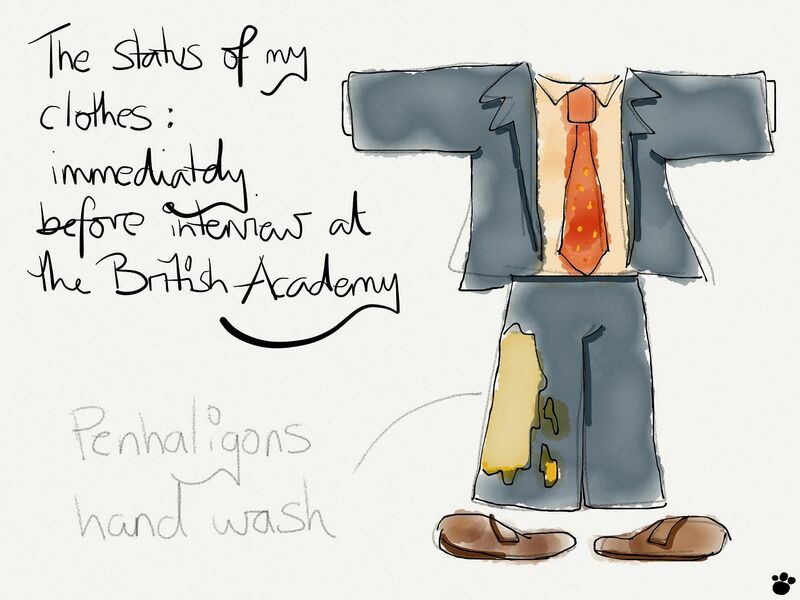 I wrote to myself, rather brashly. I wrote of the 2011 version that it was "exactly my cup of tea", and this 2012 likewise: it has an undercurrent of husky grain-like characteristics that draws water into the mouth; there is a sweetness, enduring and strong, that satisfies. It is a noticeably excellent tea. 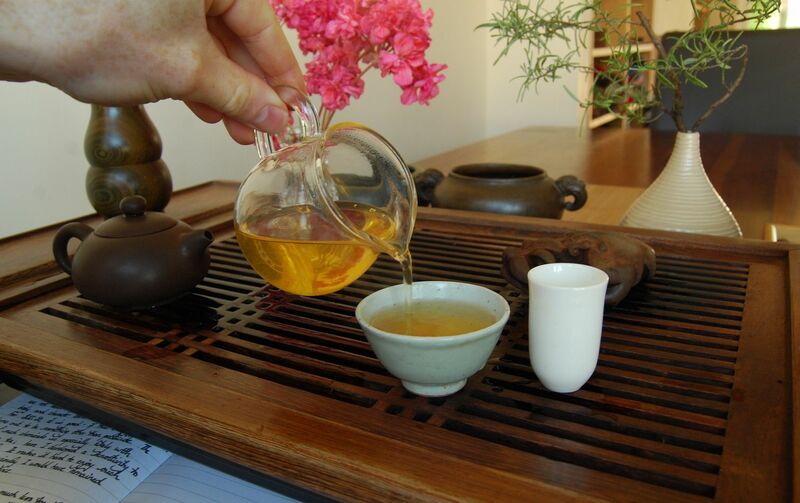 The tea stays weet and grassy, although the bold smoothness of the first infusions has passed. Perhaps that tong of the 2011 version is sufficient; the later infusions are much more ordinary, if not unpleasant. It is certainly very good for $28, although I am reminded of the importance of evaluating a cake's core characteristics, after the initial infusions have passed. So, then, two-and-a-half cakes involving the Wuliangshan region, where the "2012 Wuliangshan" is the best - although it has transiently amazing charms in its opening infusions. The strength is there, which is certainly in its favour. That said, the 2013 version may already be available by the time this article gets into "print"! 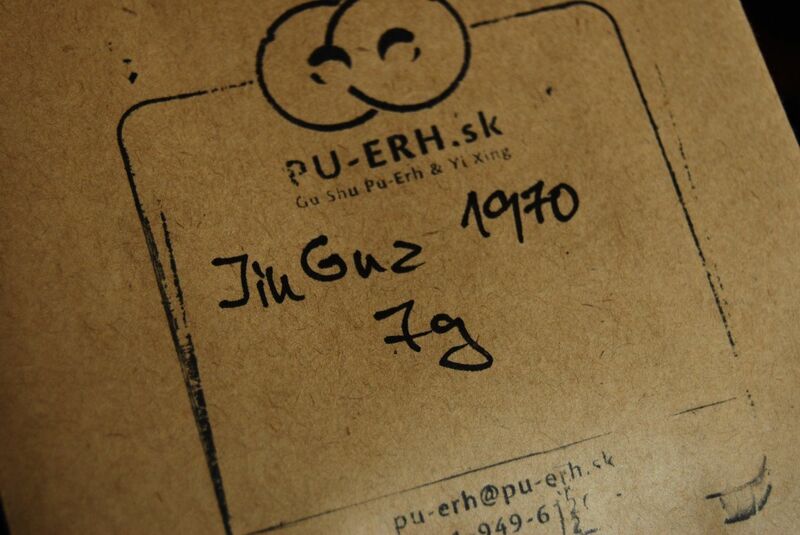 Thanks to Peter of Pu-erh.sk for today's session. 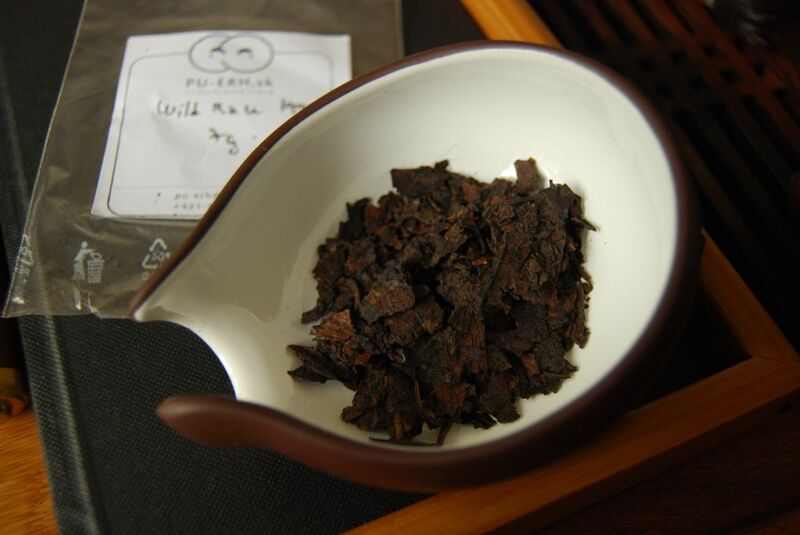 The 1990 Zhongcha "Wild Raw" may be a literal character-for-character translation of "yesheng", which actually just means "wild-grown". 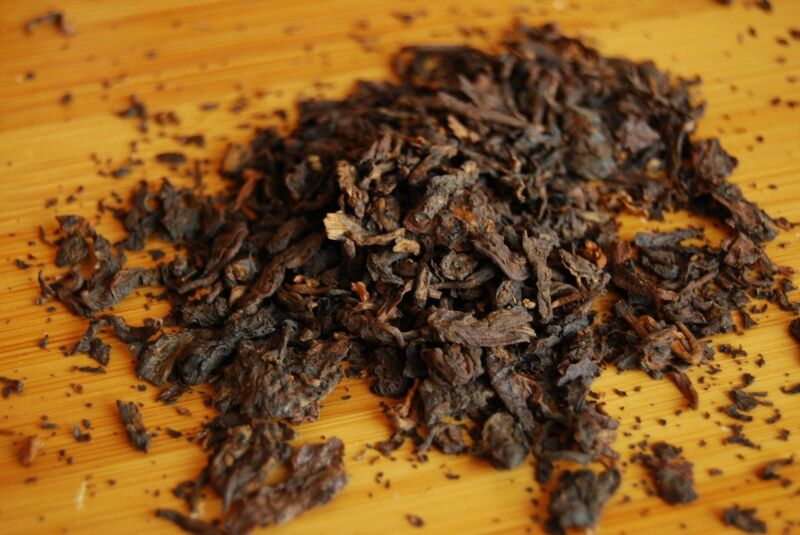 The leaves, shown above, are dusty and orange, in the "very knackered" style of old zhuancha [brick tea]. This is also suggested by the large number of huangpian [yellow flakes], which are normally not present in bingcha but which appear in zhuancha. Amusingly, the huangpian look more like red flakes. This is a friendly, warm, and comforting old tea. It tastes old, with its smooth, edgeless profile, and it tastes sweet, with the vanilla of old bookcases, if such a thing exists. The "knackered" feeling exerts itself again as we notice that it takes a good few infusions to reach full speed. I am happy to be kind to this old tea, and to give it the extended duration in the teapot that it requires in order to deliver a full brew. I am in no hurry, and this charming old fellow is very appealing. This isn't the sort of cake that should attract a high price - it was probably exceedingly inexpensive when young. It is not for sale, however, and perhaps that is for the best. I can instead concentrate on the warming feeling it has placed in my belly, and in the fluffy, fully texture in the mouth. 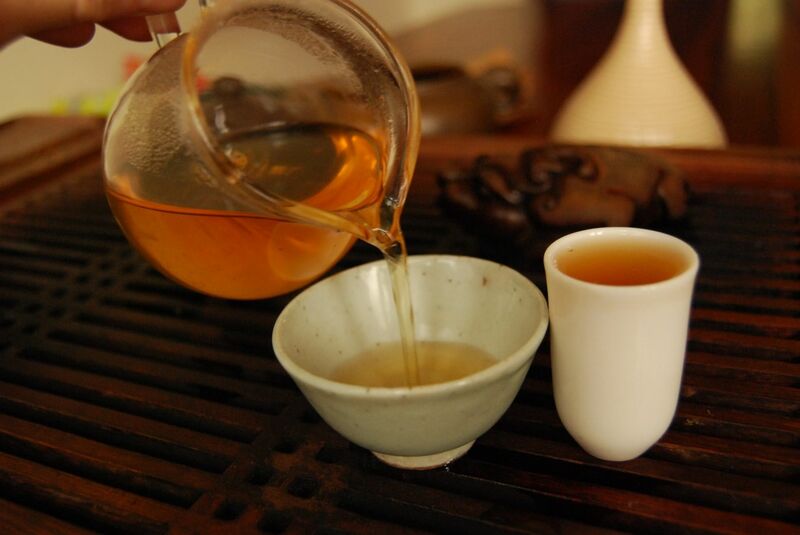 There is no real huigan, but it would be churlish to demand one of such a tired, comforting tea. I am always impressed by the wide range of experiences that one may have at the tea-table.